Can I get a price quote and buy Sure-Trac Trailers factory direct? We sell our products through an exclusive network of authorized Sure-Trac dealers throughout the United States and Canada. Pricing and availability will be determined by the dealer. Click here to find a local dealer and inquire about price and delivery. What is the bolt pattern or size for the wheels on my trailer? 15″ wheel with 5 studs contains a 4.5″ bolt pattern. 15″ wheel with 6 studs contains a 5.5″ bolt pattern. 16″ wheel with 8 studs contains a 6.5″ bolt pattern. 17.5″ wheel with 8 studs contains a 6.5″ bolt pattern. For more information on replacement or spare wheel assemblies, please contact your nearest dealer. What are the proper torque specifications for wheels? It is extremely important to maintain proper wheel mounting torque specifications on your trailer axle. Click here for torque requirements. What is the difference between GVWR and Payload? GVWR (Gross Vehicle Weight Rating) is the total weight capacity of the trailer, including the actual weight of the trailer and its max payload. Payload is the amount of weight that can be carried on the trailer — calculated by GVWR less the actual weight of the empty trailer. Where can I find my VIN sticker for my Sure-Trac Trailer? The VIN is on a placard on the tongue or on a forward driver side location on the frame of your trailer. If the VIN sticker is not readable or is missing from your trailer, please contact your nearest dealer to arrange for a replacement. What is the estimated tongue weight on Sure-Trac Trailers? Trailers are generally designed with an approximate tongue weight of 10% (of the total trailer weight) on Bumper Pulls and 15% on Goosenecks. Will the trickle charger on the dump keep my battery fully charged? The trickle charger helps maintain a working charge throughout the day, but the battery should be fully recharged after use utilizing a battery charger. We offer a variety of charging accessories to make battery maintenance more convenient. Contact a local dealer for more details. What hydraulic fluid should I be using in my Sure-Trac Dump Trailer? Sure-Trac utilizes AW32-Non-Foaming, but any basic hydraulic fluid will suffice. What is the difference between the three different hoist systems offered by Sure-Trac? Sure-Trac Dump trailers are available in Single or Dual Ram, Scissor Hoist, and Telescopic Hoist. Watch this video as we walk through the benefits of each hoist. Are wholesale and retail financing options available for Sure-Trac Trailers? Retail financing options are available from many of the Sure-Trac dealers through Sheffield Finance. This can vary by individual dealer, so contact your dealer for details. Wholesale financing options for dealers are available for Sure-Trac Trailers through both GE Finance and Northpoint Finance. How do I buy Replacement Parts for Sure-Trac Trailers? 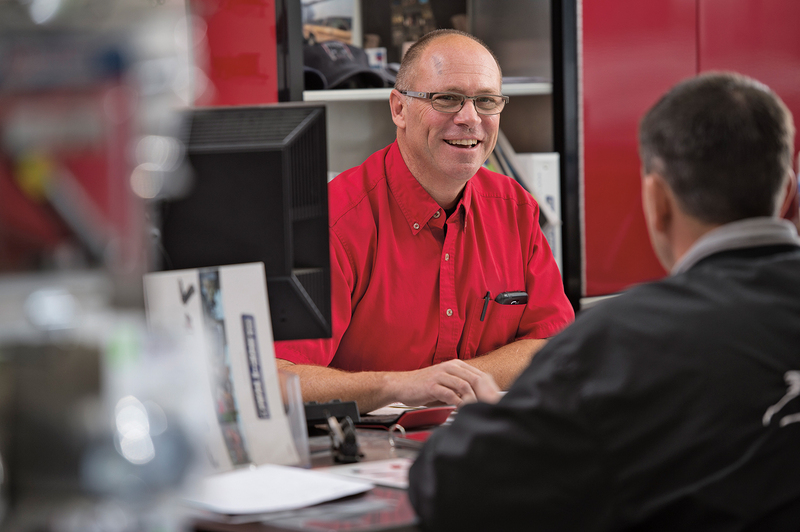 Parts are sold through our Sure-Trac dealer network. Click here to find the dealer nearest you. 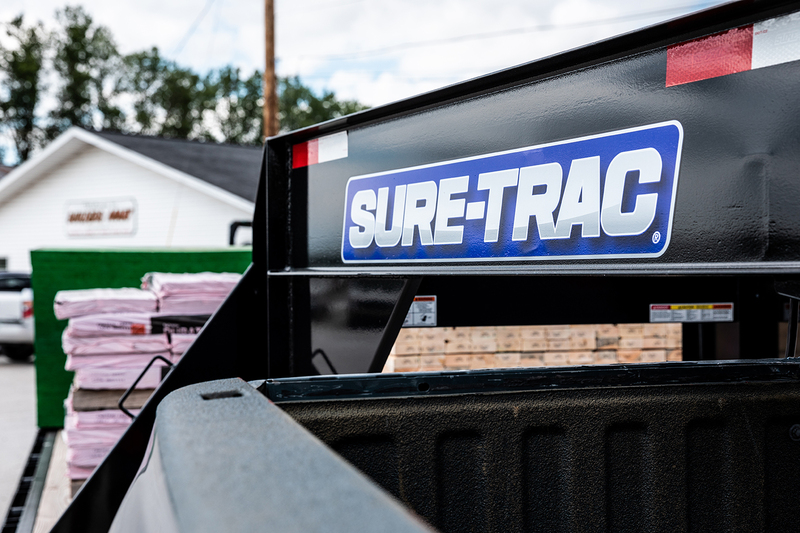 Does the Sure-Trac Trailer carry a factory warranty? Yes, with our industry-leading 3-Year warranty, you can be confident we will stand behind your Sure-Trac trailer for years to come. All warranty and service work is handled through your authorized Sure-Trac dealer. Click here to browse and download warranty documentation. How can I register my new Sure-Trac Trailer for warranty coverage? The preferred method is to fill out your warranty registration form online. Click here to get started. Are tires included in the trailer warranty? Tire warranty issues are handled separately by the tire manufacturers and distributors. Click here for warranty information. Looking for more information? Allow an authorized Sure-Trac dealer to assist you. 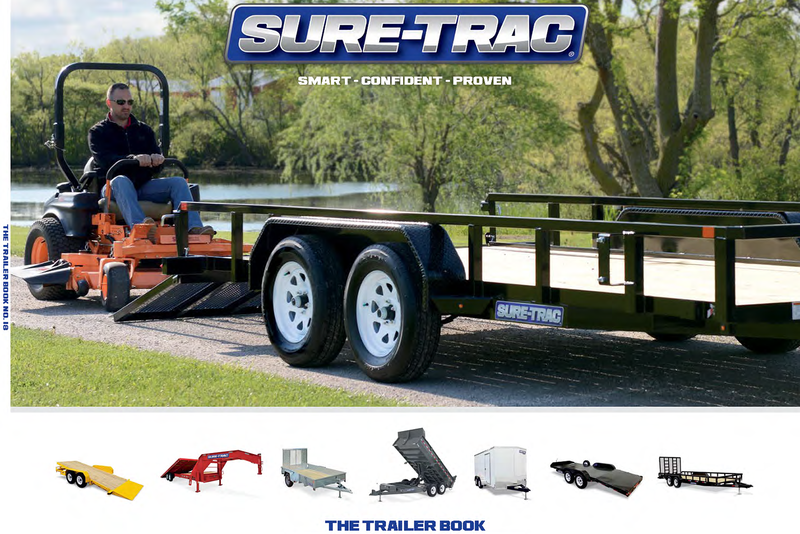 Find out more information about Sure-Trac trailers from our industry leading brochure, “The Trailer Book”.